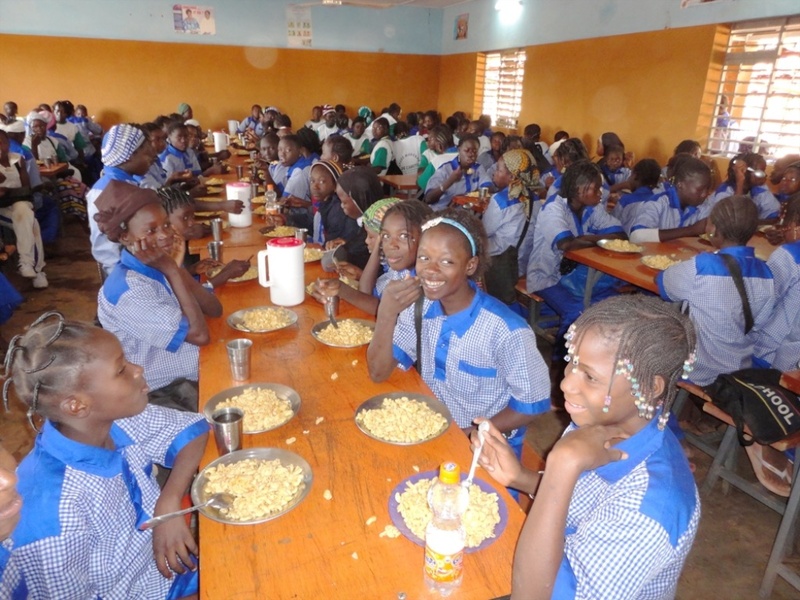 Primary school graduates of the Lambs for School project are able to extend their education by attending the Lycée Moderne de l’Amitié (LMA), a combined middle-secondary school near Ouahigouya. These girls walk, on average, six kilometers every day to attend class. 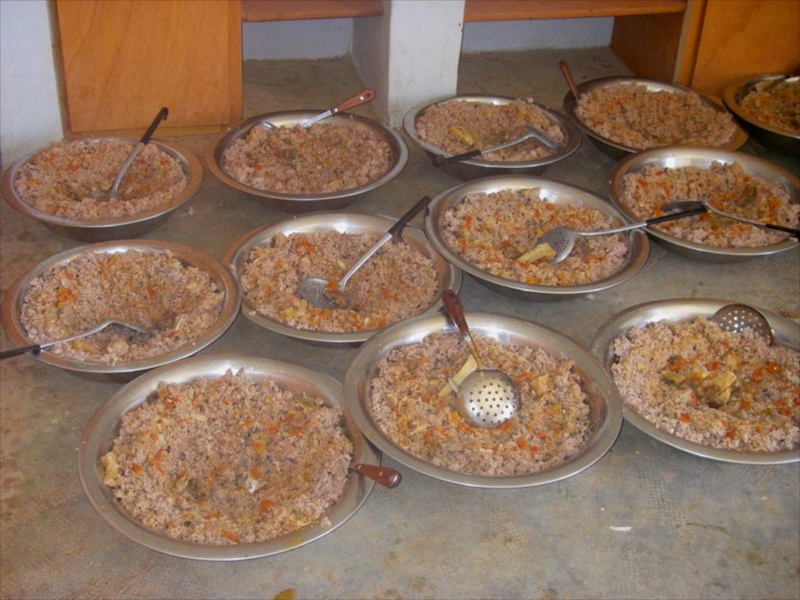 From 2007-2012, FBF support provided noon-day meals for students who came from distant villages and stayed in Ouahigouya. Their parents were unable to provide lunches for their daughters and these girls had no other source of food to sustain them throughout the day. In 2012, another LMA partner in Europe provided essential financing for this project. However, this partner had to withdrew its support for this project in 2015 due to financial constraints. Thereafter, FBF reactivated the noon-day-meals project in an attempt to help fill the funding gap. Students enjoying lunch at CMA. Students help to serve lunch at the catine. A collection of school lunches.